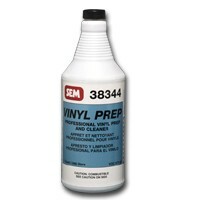 Cleans soil, wax and grease from vinyl substrates while it softens and prepares the surface for topcoat adhesion. Performs as a solvent base cleaner while meeting stringent air quality regulations. Possesses ANTI-STATIC properties.